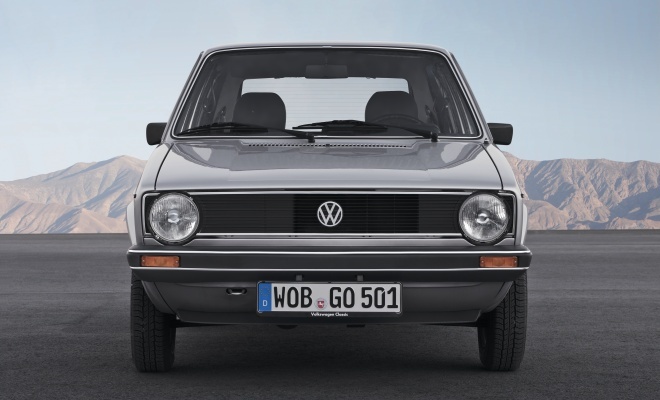 In 1974 the boxy Volkswagen Golf first arrived on the market. It measured 3,705mm long from its bolt-upright grille to its square-cut hatchback. 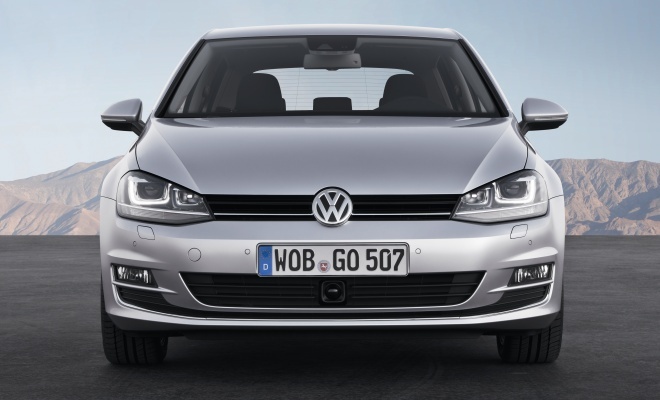 This week, the latest boxy Volkswagen Golf has been revealed, due to go on sale next month for delivery in January. And it’s a fair bit bigger. 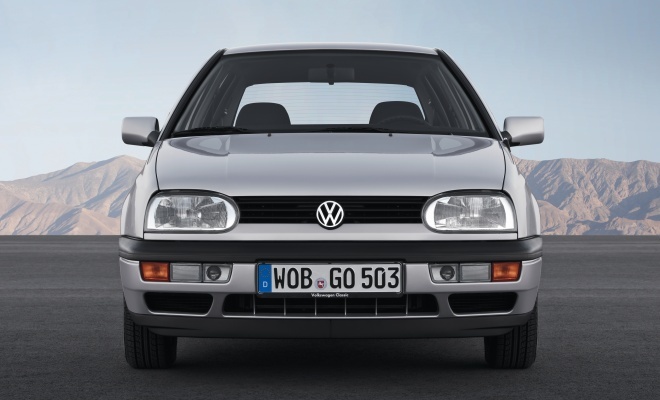 A full 34 years have added plenty of middle-aged spread, meaning the mark VII Golf will arrive at 4,255mm. That’s more than half a metre longer than its ancestor. Width has increased by 19cm over the years, but height has crept back down a little with this latest generation. The mark VII will be only about 6cm taller than the original Golf, whereas the outgoing mark VI had a roofline 8.5cm higher. 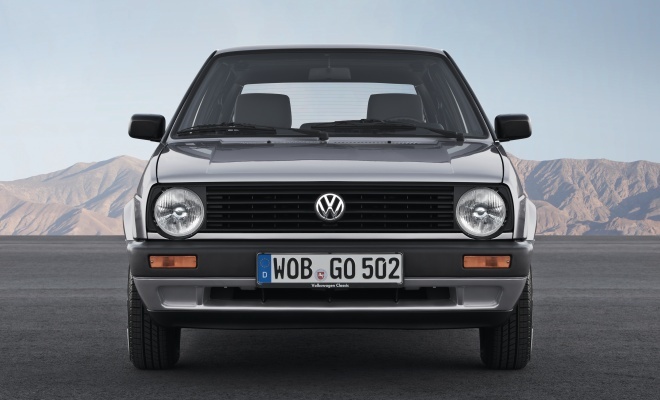 The design of the Golf has evolved slowly over the decades, making it all the more obvious how much cars have ballooned since its introduction. 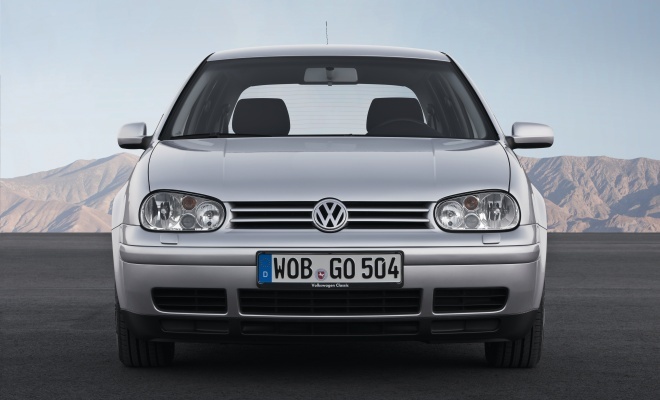 Parked in the middle of today’s VW lineup, the original Golf would neatly plug the gap between the current Polo supermini, which is 3,970mm long, and the modestly proportioned Up city car at 3,540mm. At least some measures are heading in more modest directions. According to Volkswagen the seventh generation Golf will trim around 100kg off the weight of this year’s car, around 23kg of which has been shaved from the enlarged body structure through the use of stronger steel. The remaining savings have been found throughout the car – up to 7kg from the seats and 2.7kg from the air-conditioner, for example. Together with improved engines, VW estimates that these savings mean the emissions of its Golf range will fall by 13.9% overall. Given the popularity of the model, that will equate to a reduction of 119,000 tonnes of CO2 in the first full year, according to the company. 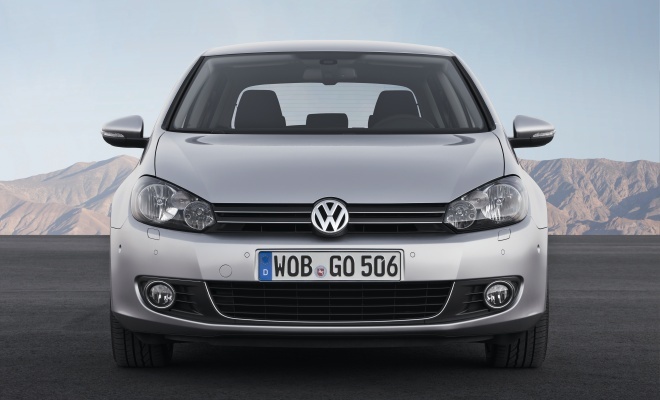 Some of that reduction will come through a range of different operating modes, that the 2013 edition of the Golf will boast for the first time. Drivers will be able to select from Eco, Sport, Normal and Individual – the latter presumably something that will be configurable according to taste. 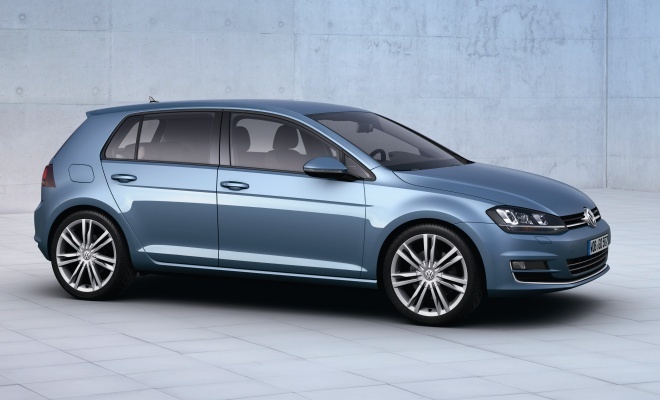 Buyers who opt for VW’s adaptive suspension will also gain a fifth option, called Comfort. The various modes will alter the throttle mapping, engine management and ancillaries such as air conditioning and power steering to adjust the car’s responses. And if the Individual profile works as the name suggests, it might be possible to combine the softened throttle response of Eco with the unfettered aircon of Normal and the steering sharpness of Sport, for example. At launch, all of the available engines will incorporate stop-start and battery regeneration – a fuel-saving measure that biases the alternator to run mostly when the car is slowing down. On the petrol side, a 1.2-litre TSI unit will deliver 84bhp and should earn official figures of 57.6mpg and 113g/km. A bigger 1.4-litre TSI will up power levels to 138bhp but will deactivate two of its four cylinders under light load to achieve an impressive 58.9mpg and 112g/km. The two diesel options will be a 1.6-litre offering 105bhp and promising 74.3mpg and 99g/km, and a 2.0-litre 148bhp option that should be good for 68.9mpg and 106g/km. The most tempting of that lot would seem to be the 1.4 TSI petrol, although VW does plan to introduce a diesel BlueMotion edition of the Golf 7 that should cut CO2 emissions down to just 85g/km. It won’t be available at the outset, however. 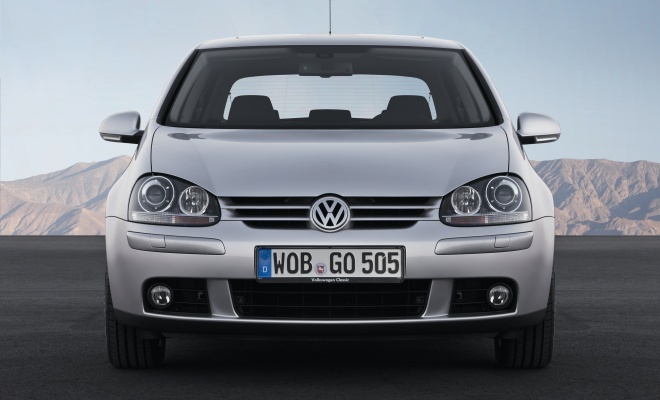 Not forgetting, of course, that 2014 will bring a version of the Golf powered purely by batteries and electric motors. 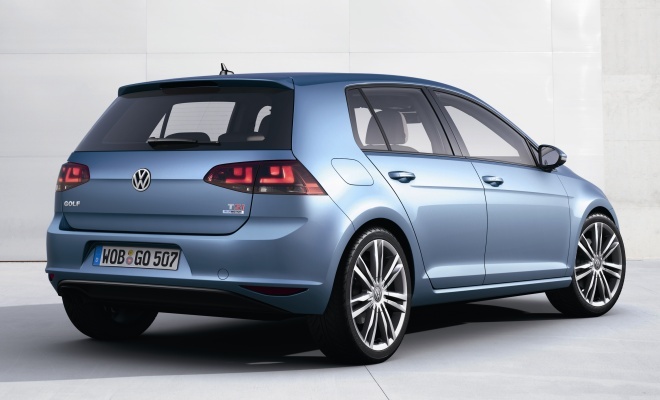 According to VW engineers, the seventh-generation bodyshell has been designed with the electric Golf Blue-e-Motion in mind from the outset, so we can look forward to some neatly packaged batteries that should harm neither space nor handling.